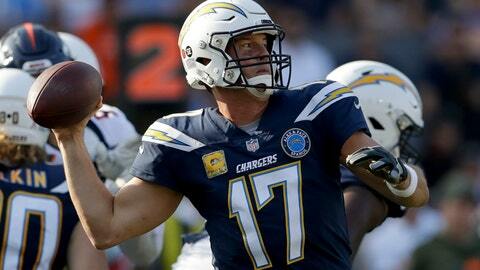 The Chargers have a 28-point team total and should offer more a more concentrated offense. Wide receiver Keenan Allen and running back Melvin Gordon represent nearly 50 percent of Philip Rivers‘ passing targets, with Gordon also commanding 60 percent of the ground attack. In the three games since the bye, Gordon has received more than 20 opportunities via the ground or passing attack with Allen averaging double-digit targets over the same stretch. Both Gordon and Allen are exceptional Week 12 daily values in a high total game with a heavily concentrated attack and can be paired up with Philip Rivers in tournaments, as all three project for 20 or more fantasy points. The Chargers are a good target for single entry DFS players.